Today I am joining in with the Papertrey Ink Make it Monday challenge number 209 - White on White Die Cuts with a Pop of Colour. Lexi shows us some super fun cards using this technique. This really appeals to me - white, clean and a pop of colour! 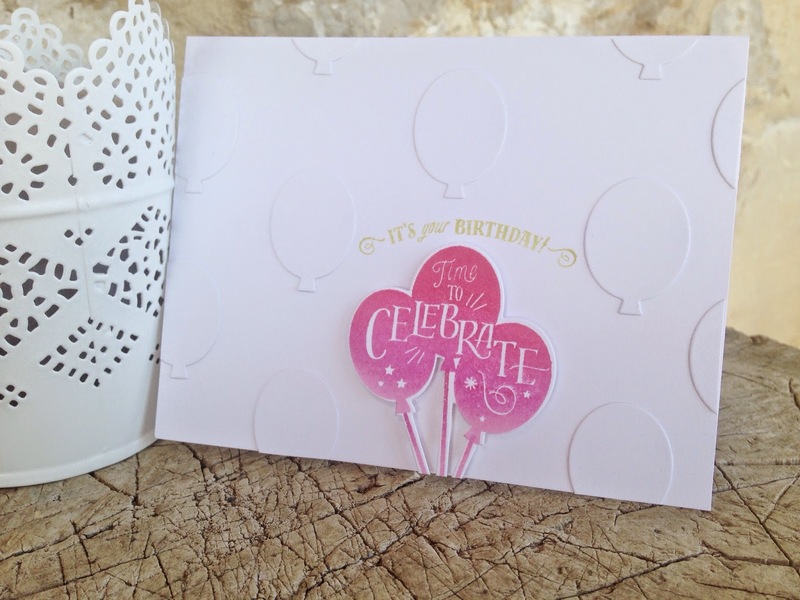 For this card I have used the new Make It Market kit *Party Pops* released this month. Wow is all I can say - Betsy has everything covered! And I also used my new MISTI stamping tool to do the ombre inking on the highlight die cut. super cute card!! i love all those balloons and the ombre bundle - perfect for this technique. thanks for playing! this is so pretty! 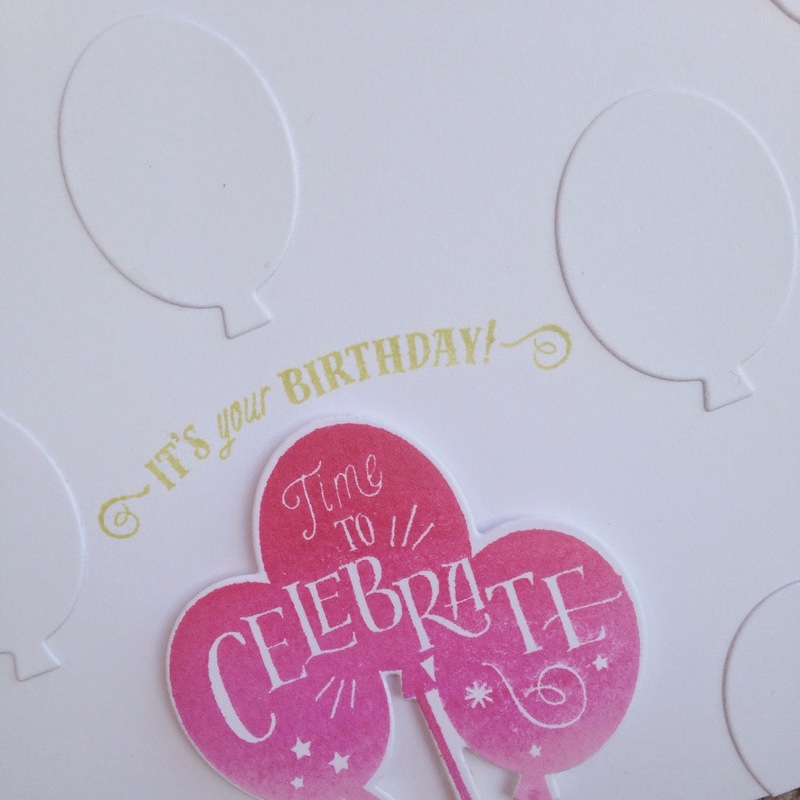 i love the subtle background of the balloons.... thank you for playing a long with us at simon says stamp wednesday challenge! !